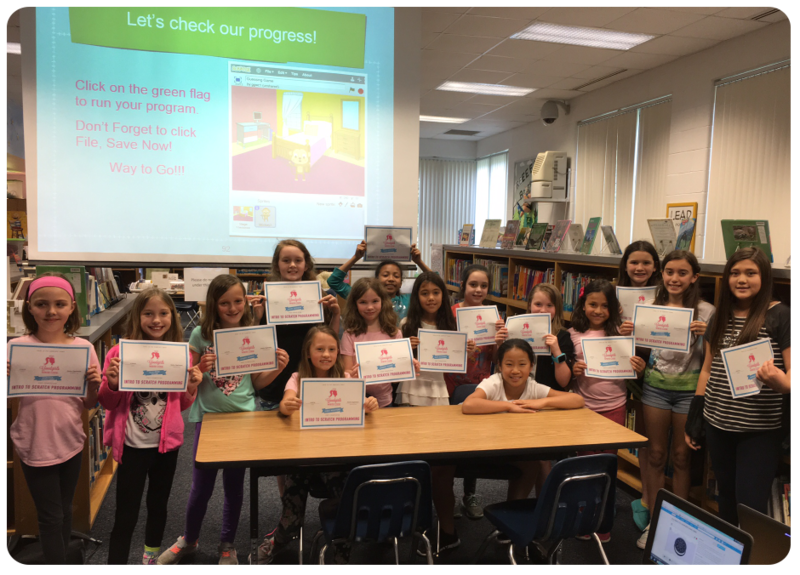 Any parent, teacher or principal can sponsor a Goodgirls Write Code club in their school. Simply propose a grant to your Principal to fund a Goodgirls Write Code club in your school. Goodgirls Write Code will supply the sponsor with two projects a year to teach in place of, or in addition to, their current STEM education activities. The sponsor is then permitted, through a licensing agreement with Goodgirls Write Code, to offer our programs throughout the school year. We sit down with the sponsor and go over the instructional materials while providing Goodgirls Write Code t-shirts and bracelets to hand-out to students as rewards for the successful project completion. The cost to sponsor a Goodgirls Write Code club in your school starts at $2,000 (for two projects per year). The standard PCard amount of $2,000 allows our programs to be seamlessly incorporated in most public schools nationwide without school board approval. If your school does not have access to computers, please see our after-school and summer camp programs. Goodgirls Write Code offers additional options to schools in need of on-site instruction provided by Goodgirls Write Code techies. Goodgirls Write Code Educational Modules are the perfect resource for teachers and educators to introduce their students to essential coding languages. These programs help strengthen students problem-solving skills using web-based resources to enhance the hands-on programming experience. We encourage girls to succeed in STEM fields, especially computer science, by incorporating fun, girl-centric programming activities they can share with their family and friends. Goodgirls Write Code summer camps run Monday - Friday, 10am-12pm. We charge a fee of $175 per student for each one week camp. To register for any of our upcoming Summer Camps, click here. In order to extend our reach to girls in low-income areas, where public schools lack the funding or resources to teach computer science, we offer our programs to these students free of charge. We target public schools where up to 90% of the students participate in the free and reduced lunch program. We give these students hope to achieve their goals by motivating them to learn computer science skills to advance them in the STEM fields of study. We believe all girls should be afforded the same opportunities as those who have access to computer science education. Contact us using the form below to incorporate our computer science programs in your school for free. *For more information or to get started with one of our programs, please fill out the form below and we’ll respond immediately. Want to see if Goodgirls Write Code is in your area? Send us a message! Let us know where you're located and how you would like to get involved. Are you looking to Join, Sponsor or Volunteer for a group in your area? We want to know and can't wait to hear from you!